Companies hire property managers to save them time and streamline their businesses. As a property manager, you need to learn what landlords look for during their hiring process in order to get the job. If you know what landlords are looking for, you can beat out competing managers and get more experience. You need to guarantee landlords top-notch qualities to convince them to share their rental revenue with you. In this post, you will learn the top reasons for a company to hire a property manager. A company may choose to hire a property manager to take property showings out of their hands. After all, each property showing take a decent amount of time. You need to prepare for the showing, conduct the showing and follow it up. If you are able to show properties in a persuasive yet truthful manner, you will earn companies money and save them time. Business owners can take care of other time-sensitive tasks worry-free if they can trust in your expertise. Thus, you need to convince landlords that you can show properties and close deals from the get-go. Showcase your successful communication models and strategies. Then, you will get landlords to hire you as their property manager. Another reason for a company to hire a property manager is for the market studies. Without accurate market analysis, companies cannot profitably compete with other local rental units. Some landlords do not know how to use the latest technology to conduct market research. Others simply do not have the time. Regardless, they rely on their property managers to determine the right rental rates for them. If you do not know how to calculate these rates based on market studies, learn how to. Only then will you be of the highest value to landlords and convince them to hire you. Many companies turn to property management businesses for optimal maintenance services. Companies cannot keep their tenants satisfied if they cannot maintain clean, quality premises. As you know, landlords do not have a lot of free time on their hands. To gain more time to conduct other business-related tasks, they hire managers to maintain their properties for them. Therefore, you need to acquire maintenance skills. Learn to deal with small issues before they turn into large, property-wide problems. Discover the best ways to create quality management systems for maintenance purposes. Property management companies convince landlords to hire a property manager by explaining their preventative maintenance practices. Landlords also hire property managers for their experience. This is particularly true for new landlords at new rental properties. Without prior experience, maintaining a high quality rental space is a difficult task. On top of that, landlords have to focus on the financial side of the business. 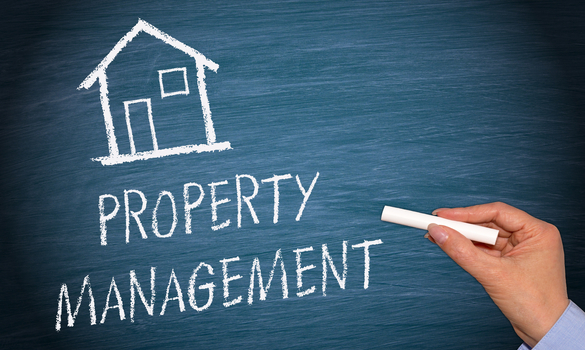 With a property manager, they can rid themselves of the stress of learning how to manage a new business. Experienced managers already know how to use online spreadsheets and other tools to stay organized. Provide the company you want to manage with relevant references who will boast about your good managerial skills. Then, your managerial experience will convince landlords to hire a property manager. Lastly, a business could hire a property manager for their clear understanding of the law. Companies are less likely to find themselves involved in a lawsuit when they have property managers who know how to avoid legal issues. There are numerous federal laws that can be difficult to keep track of as a landlord. On top of those, each state has their own laws. These federal and state laws include tenant screening, conviction and discrimination laws. To prove that your worth as a property manager, keep yourself updated on the various laws you will need to know. In doing so, you increase your chances of getting the property manager job you desire. The best property managers simultaneously save companies time and earn them high profits. One of the top reasons companies hire property managers is for their property showing talents. They also look for candidates who can conduct market studies to determine the best rental rates. The best managers offer optimal maintenance and keep tenants’ satisfaction rates high as well. Those with managerial experience often beat out new property managers. In addition, companies value how well property managers avoid legal issues. Keep these top reasons for a company to hire a property manager in mind to get a worthwhile position.